A fisheries biologist does many things, and usually works in both the field, laboratory, and office. Outdoors work takes fisheries biologists to streams, lakes, estuaries, and the ocean. They catch fish using specialized gear to investigate many aspects of fish biology, such as fish population numbers, migration patterns, and what fish are eating. They also gather data on habitat important to fish species. Sometimes fisheries biologists get information from anglers and commercial fishermen to determine impacts of fishing on fish populations and economic impact of fishing to local economies. 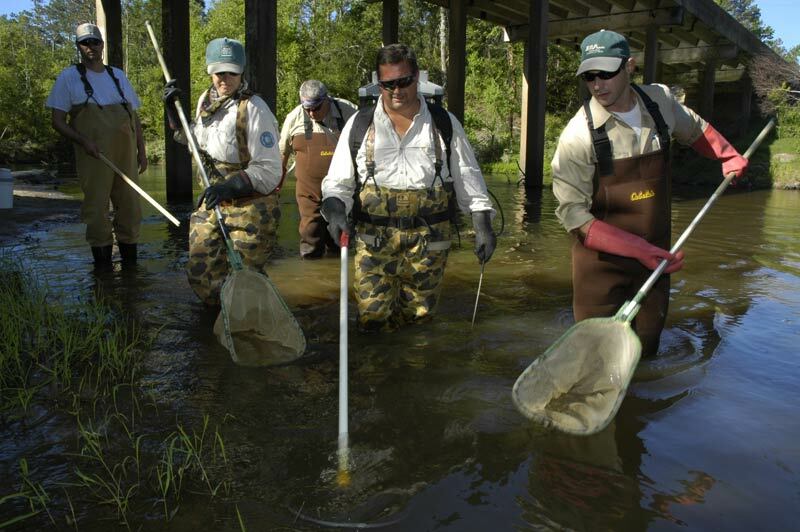 Many fisheries biologists specialize by studying a specific fish species or group of species, or they may study fish in specific lakes, rivers, or oceans. Laboratory work can involve analyzing the data taken from the field and writing reports on what they find.. They use computers to develop models of how fish interact with the environment or how fishing is affecting the number or size of fish in a population. Sometimes they take samples of fish from polluted waters to determine if they are free of contaminants and safe to eat. Fisheries biologists work for state and federal fisheries agencies, private conservation groups, consulting firms, and universities. Fisheries biologists usually have a master’s or doctorate degree. 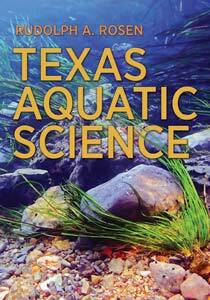 Texas Aquatic Science was written and edited by author Rudolph Rosen, Ph.D. Sandra Johnson, Ph.D. served as educational consultant and authored the accompanying Teacher’s Guide. Videos were produced by Randall Maxwell. Texas Aquatic Science is a cooperative education project sponsored by Texas Parks and Wildlife, The Harte Research Institute for Gulf of Mexico Studies at Texas A&M University-Corpus Christi, The Meadows Center for Water and the Environment at Texas State University, and funding partner, the Ewing Halsell Foundation, San Antonio.